Nearly 3.5 lakh contractual teachers currently working in Bihar’s government schools stand to benefit if the decision is implemented. PATNA: In a major relief for contractual teachers in Bihar’s government schools, Patna High Court on Tuesday ruled that they are entitled to a salary at par with the regular permanent teachers. The HC verdict was welcomed by various associations of the contractual teachers, who had resorted to agitations demanding pay parity earlier this year. Nearly 3.5 lakh contractual teachers currently working in Bihar’s government schools stand to benefit if the decision is implemented. “It is a historic decision by the high court, which will lead to great improvements in Bihar’s education system. It will prove beneficial both to teachers and students,” said Shatrughna Prasad Singh, general secretary of Bihar Secondary Teachers’ Association. Anand Mishra, the general secretary of Bihar Contractual Teachers’ Association, said the ruling has instilled a “new enthusiasm” in contractual teachers. “The inferiority complex of contractual teachers, who are the backbone of government schools in the state, will now be gone. They will work with renewed vigor and dedication,” he said. Hearing a bunch of writ petitions filed by Bihar Secondary Teachers Struggle Committee and others, a division bench of Chief Justice Rajendra Menon and Justice Anil Kumar Upadhyay said the principle of ‘equal pay for equal work’ was applicable to Bihar’s contract teachers. While the average minimum salary of contractual teachers currently is about Rs 20,000 a month, regular teachers are paid about Rs 40,000 a month. Arguing discrimination by a violation of the principle of equal pay for equal work, the petitioners had cited the Supreme Court’s ruling last year in the State of Punjab vs Jagjit Singh case. 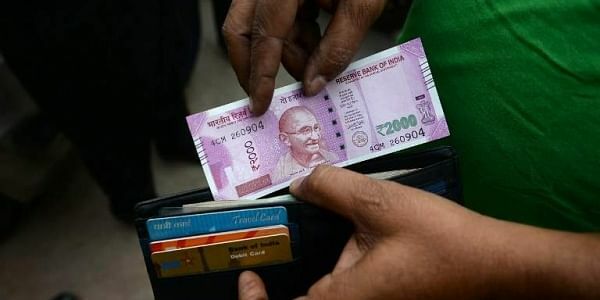 The apex court had ruled that temporary employees are entitled to draw wages at the pay scale extended to regular employees holding the same post. But the Nitish Kumar-led government, which in 2006 started appointing teachers on contractual basis at salaries nearly half of that paid to the regular teachers, hinted that it may appeal against the HC ruling in the Supreme Court. “We are yet to receive a copy of the judgment. We will study it and, if deemed necessary, we may appeal against it to the Supreme Court,” said Bihar education minister Krishna Nandan Verma.